This group from Clermont-Ferrand only made one album, which is a real shame! 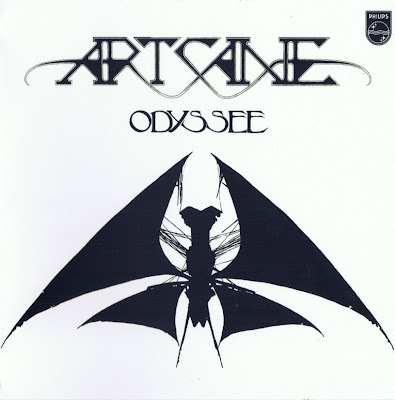 Odyssee (1977) was a promising start, obviously influenced by King Crimson circa 1972-75, but with more warmth and less tension (also less vocals). The long and varied tracks develop through several phases with a dynamic range as broad as in symphonic music. Electric guitar and keyboards are the key ingredients, treated with effects such as flanging, wah-wah and massive echoes. Some parts of the album are quite ethereal and spacious. The only weakness is that Artcane's ideas lacked some originality, but that detracts little from its value. Good progressive rock!